Platform as a Service (PaaS) eliminates the expense and complexity of evaluating, buying, configuring, and managing all the hardware and software needed for custom-built applications. Salesforce Platform vs FileMaker, Inc.
"Better organization of the company"
"Good service and good marketing"
This Software has allowed me to expand and improve the marketing actions as I was using them previously, which did not bring good results, but when using salesforce, the marketing of the company has been expanded, doing a better job at every moment. It serves to have an orderly record of all activities carried out with customers, thus having a very detailed view of sales and sales opportunities. The innovation and trust that Salesforce (SFDC) prioritizes in achieving with its customers stands out in the quality of their product and training materials. There isn't another product that allows anyone to learn at the depth, rate, and ease, in the way Salesforce has developed for their platform. The system itself, while still rooted in the simplistic framework of database, has exploded into a dynamic, intelligent, and navigable experience for users, customers, administrators and developers. I love their 1:1:1 model (1 % equity, 1% product, 1% employee time) goes towards lifting up nonprofits and higher-ed endeavors to help give the best tools and solutions to the change-makers of the world. SFDC is also heavily focused on Equality, and as someone who's been in the SFDC-sphere for a decade, those equality initiatives have paid off. Salesforce is a titan, but they seem to be on our side as customers and a force for good -which is a rare feeling in companies with diverse and expansive product-lines. The initial product has changed drastically due to input from their community, not just their in-house innovation -which is a testament to the value of their customer base being trained and vocal. I would say cost and complexity of initial implementation maybe. A small startup would probably struggle with SFDC unless they were aware they needed a qualified Admin (at least) on board to ideate and execute. First two SFDC orgs I encountered were both with Nonprofits -it would be nice if SFDC Account Reps were more earnest about cost, time, and knowledge that is needed in-house to support using SFDC as a hub for all activity. Choosing SFDC is a big decision -it can be life-changing, but that comes at the expense of money and time, which some SBs or NPOs may not fully be able to devote appropriate resources to upfront. Invest in your in-house talent -train your Admins and Developers, hear them out (they are actually reasonable business analysts without the formal training) and make sure your company is supporting them with involved leadership and super users. Also -dump crappy admins. If your workforce says they hate Salesforce, it is going to be one of a few factors: A) your budget/timing doesn't allow for the most beneficial solutions, B) your business processes are pants and not even an admin can help when decisions or decision makers are low-quality, C) your admin is uneducated or not innovative. If your Admin isn't actively getting involved with all the departments their tool supports and don't try to gauge what key objectives are each year, then they aren't worth a whole lot. Also, don't underestimate your in-house non-tech talent pool -Salesforce transforms lives. Some people with enough technical and process aptitude convert to admins quite well -carrying their previous role skillset and background into building remarkably specific and innovative solutions. Find the people who are curious, competent, and involved, then shower them with opportunities to problem solve. #1 guide for potential new clients -really scope out your use case, be very honest with your consultant about your needs and budget, then ask if the essentials can be done within your budget, what in-house maintenance looks like (what qualification level is needed), and what fulfilling 'ideal' solutions look like over 5 years after implementation. Tell them you need direction and want to dig deep. You may have to pay for more up front for discovery but it is worth it to build right the first time and not get dumped with something too complex to manage for your resources (knowledge, time, budget). Process improvement, time-wasting menial tasks are eradicated or reduced, client 360s are possible due to the Lightning Experience with ease, Einstein Analytics provides dynamism and greater context to reporting in a modern way, executives and navigate key information with ease, visibility and security is robust and customizable, almost anything can be greatly improved with code, declarative automation can be complex but ultimately straight-forward. I've migrated two nonprofits to Salesforce and worked in a heavily-code dependent org -while only working with small businesses, the use cases have all be drastically different and SFDC has been able to meet each need. For nonprofits, the key wins were in the amount of information we could cleanly and easily access for evaluating what fundraising or program initiatives were working -the reporting alone is a savior for most .orgs. The ability to easily integrate with donation services also exponentially improves the range and longevity of a nonprofit. On the corporate side, the number of tools we can leverage is far greater than in NPO-land -we get to use products and consulting power that can take incredibly granular and complex processes with many exceptions and find a way to provide custom views, automation, and actionables. As long as you devote time to your admins and developers, they will find a way to make magic with your org. En general, el sistema es realmente impresionante, y ayuda mucho con la productividad y las ventas. Requiere un tiempo de aprendizaje para conocer su lenguaje y estructura para configurar cualquier estructura personalizada para su empresa, pero merece la pena el esfuerzo. SalesForce tiene muchas opciones que le permiten realizar un seguimiento de cada paso de una venta. Hay muchas, muchísimas, opciones de configuración, pero para ayudar al cliente hay signos de interrogación junto a la mayoría de los "campos" que explican con más detalle cuál es su función. Al suscribirte, accedes a la plataforma de Salesforce y todas sus actualizaciones continuas (no es un programa que compras e instalas). Como la plataforma está en la nube, todo se mantiene sincronizado. Hay muchas soluciones de terceros a las que puede integrarse para optimizar los resultados. El soporte no es todo lo eficaz que debería, no está a la altura de la plataforma. Recomiendo suscribirse a esta plataforma, para mejorar los beneficios de la empresa. Da información necesaria para aumentar las ventas. There are lots of things I like about using this specific platform, but the best of all would have to be the easy and reliable usability on tracking leads, instant inbounds, and sharing data amongst coworkers. Without a doubt, the toughest thing to learn on this platform was the learning curve. When I first started using this service, I had to be shown at least three or four times just how to use the service. There were no tutorials really on how things worked and I did not really enjoy having to ask question after question to experience co workers who were more familiar with it than I was. I learned it eventually, but it took some time just to learn basic functionality. It is a fantastic service, however, it does take quite a bit of training to really know the product. It really is the best platform for us at the moment, we are solving our problems of being able to track our inbound leads, documenting all of the leads, and distributing user and company data to others. The benefits have much outweighed the cons due to being able to really hone in on servicing our customers in an easy manner. "Needs practicing but it is one of the best task manager I tried!" Filter customisation on each case, possibility to pull data across each value per data range and any data, possibility to link Account information, with relevant opportunities and contacts! Customising a dashboard is far-way too complex, they could make the UI more intuitive. Writing emails via salesforce results in having plain text, there should be an option within it to change this. I hope they keep the same tradition Interface and they do not switch to a new one! I organise the workflow for myself and my team, I monitor the same quite easily pulling reports and necessary data accordingly. I can check the average of days necessary to a specific person in order to close a ticket . The same way I can check data range across the Case-Type. Salesforce is also super useful to search and find previous data, much easily than doing this via email! "May the 'Force be With You "
As a client manager Salesforce provides the ability to quickly create tailored reports that would otherwise take hours in excel. A quick sort can create a report of clients or leads that require followup based on your choice of fields. The ability to integrate different systems to upload communication provides a source of the customer's account history within the company. The ease of access to e-mail templates and automatically triggering e-mails when a customer status is updated is extremely beneficial. Customization of dashboards is a brilliant feature allowing management to have an immediate real time report based on lead/customer status. A multitude of options can also report based on fields you create in the case management. I dislike the inability to mass-edit case titles. If an agent had incorrectly inputted the case title, a manual change was required. There was also an issue viewing e-mails on a mac when uploaded from a windows computer. We attempted to find plugins to fix this but were stumped. As someone handling dozens of documents to be attached, I found the file uploading process to be cumbersome as it required you to not only go to a new screen but to have to click upload, click your file, and click again to add it to the account and then go back to the account. That's four steps that could be avoided if there was a simple "upload" button on the main screen as opposed to adding a file. I have found it's most beneficial to have all employees on the same operating system due to a few compatibility issues, however they were not limiting so long as there is access to both. I used this to manage a list of clients turning in forms in different increments of time that would last months - sometimes years due to the nature of the item. This can seemingly be hard to manage, but as I was able to create statuses and sort by date the profile was last modified, I easily knew who to send reminders and which customers I was still waiting for. In the event of customer escalations, the account can be flagged for management to review and the history of the account is clearly defined - complete with associated recorded calls. "Force.com - Paradise to break away from the on premise infrastructure"
Salesforce should fit with your long term road map of cloud adoption especially if you are moving from on premise applications. The initial savings would be high to motivate for the quick jump but over a period of time the discounts offered by salesforce will dry up and you will have to stick to the same place. "Salesforce for Sales AND Marketing"
It helps the Sales team become more organized, by logging every move they make with a Contact/Lead and it helps Marketing see what necessary steps need to be taken and how we can further help Sales in our efforts to get more leads. I also really like how almost every other vendor has a Salesforce integration. Every couple of months or so, we'll have a glitch in the system that doesn't let us upload updates to Contacts with their email. Sometimes it only works with their name and I will have to re-do my CSV file to make it work. Use Salesforce in every way you can. There are so many features to leverage as a business. Salesforce is our company's go-to platform for Marketing automation, Sales management, etc. It integrates with so many platforms we use including Clearbit, DataFox, Hubspot, and more that helps us find and reach out to potential clients. The ability to customized the format of the database to fit my organizations needs. My organization is a chimera since we are a non-profit, but located at a higher education institution. But we do not collect any data from our higher education host, yet we are not solely a stand-alone non-profit. There is no easy way to quickly update multiple records to clean the data. If you have forms that you need to track in Salesforce, consider FormAssembly. I have tried multiple webform platforms and this one is the easiest to link to Salesforce and the ease of use is amazing. Previously, we used an access database where partners would enter in their data and it would flow to multiple areas. The quality of the data was horrendous, since there was no way to require fields or require consistency in naming (a program had to be added and then participants added with the program title matching the first entry). The database was a mess and Salesforce really saved it. I like that it's a fully customizable application and you can use it however you like. I also like that It is easy to get up and running with a very simple and basic sales/CRM configuration with Salesforce. Not to forget about the easy-to-follow interface. The price might be a bit too high for some I believe. The learning curve is pretty high as well and takes some really getting used to to become proficient at it. Go ahead and give it a go. I'm sure that you will not be disappointed as this show really is worth it. My sales, marketing and customer support in both business-to-business and business-to-customer problems were handled pretty well with it. "Salesforce is the Leader among Cloud Platforms"
I have been using the Salesforce Platform for almost 4 years now having previously worked with Oracle Cloud and AWS. In my experience, Salesforce is by far the most complete platform that comes with all the necessary tools and APIs to build new applications or extend existing applications on the Platform. It is very stable, highly available and exceptionally performance compared to its competition in this space. The platform continues to evolve and improve thereby providing higher ROI for customers. There aren't many things I dislike about Salesforce. Stability, Reliability, Secure, Flexible, Easy to use. Association/Member Management, Knowledge Management, B2B eCommerce, Customer and Partner Communities. "Outstanding reliability, flexibility and stability"
An extremely robust database offering that offers superb flexibility in creating a database structure to exactly match your (my) needs even if those are quite complex (as are mine). Great report writer and, via csv uploads/downloads, great interoperability and portability. The built-in Apex language and its sandbox and testing requirements are more than my old-fashioned head has been able to wrap itself around and the help documentation is just as complicated. I wish someone would write a simple primer like the many available on the web for say, Python, to help a beginner make sense of how to write say, a trigger or a customised page from scratch and take it all the way through the testing and sandbox stages to the production environment. What you need: a good knowledge of what your input data is going to be, what reports and analysis you need, what validations are critical, and a decent idea of what constitutes a sensible and efficient database structure. So, yes some prior experience working with databases and tables is helpful, but it's not hard to pick up. The platform is quite forgiving, so if after creating your database you realise you need something else (or your business needs change), it's quite easy to make changes and retain your data integrity. The built-in user interface is very powerful even if it's not the prettiest and you get used to it soon. The report writer is outstanding, hiding all the SQL complexity from you and allowing you to create pretty powerful reports using plain English and point-and-click / drag-and-drop techniques. With a clear understanding of my needs and a decent knowledge of database design I've successfully created an investment and portfolio management app on this platform to meet my needs over the last 6 years. No signs of outgrowing its capabilities and for fiddly stuff there's always csv downloads/uploads and Python offline. Except for a small bit of Apex code and a couple of triggers for one process that I got my son to help me with last year, I put together our entire app purely with point-and-click and no coding. Using this platform as our backend, we've grown a two-person operation to a two-person operation (yes, just my wife and I) running a business with between 100 to 300 transactions a day for 200+ clients with 2200+ investments in 300-odd mutual fund schemes, scrips and fixed income investments. And it's available on my iPhone/iPad when I'm out on a client visit - no coding or extra work required from me at all. Easy to use, configure and build apps. Most common apps and its features can be built by point and click. Platform also gives the power of Apex programming to give customization capability which may not be possible using point and click. Also it is mobile and API ready. Platform is amazingly fast and developer friendly. As the platform is constantly innovating and coming up with new stuff 3 times a year, its hard to catch up on the cool stuff available and adopt. Its a lovely developer friendly platform, just spend some time in Trailhead to learn every feature before you dive to implement. We are using it for product development as an ISV. "A very capable platform for developing apps on top of CRM, with limitations"
The speed to develop an application on the force platform is very quick. They have done a lot of the heavy lifting for you which can save a TON of time, no need to re-invent the wheel. By leveraging out of the box features, with a relatively small amount of customization you can get a basic application running in a matter of minutes or hours. This is incredible really, compared to old-school development where you had to write everything yourself. There are significant limitations on the platform, the limits are evrywhere. CPU time, query result size, query statements, it goes on. You will bump into limits all the time, but there are generally ways to deal with those limits. But honestly that is the most frustrating part, the limitations of a multi-tenant cloud environment. Regardless, it's still amazing what can be done on the platform in such short time. Aside from the basic CRM, we have developed a huge amount of proprietary software which is very specific to our business. Contract management, inventory management, equipment standards and taxonomy, much more. I like how easily integrated it is with all of the salesforce data that is most important to the organizations that we work with. We have created many applications on this platform, winter 17 is a huge improvement to force.com. The platform is so powerful because of lightning components, visualforce pages, and having access to all of the data that is in an organization. Force.com is still weak in some areas, but with the most recent updates for Winter '17 I am excited to dive back into the Force.com platform and check it out. I don't have too many complaints in regards to Force.com I really do think it is an awesome platform. For organizations interested in features that Heroku Connect provides, but aren't at the enterprise level, or can't afford the cost of Heroku Connect, then definitely checkout Force.com and give it a shot. Either that or contact a consulting agency that can build an application on the platform for you. You have the opportunity to create amazing apps that can be customized for an internal organizations use or an external public facing website. As a consultant we have built websites on this platform and also created custom development tools in order to assist in the salesforce experience, give customers ease of use, or work efficiency. Application development for organizations that desire to use the Force.com platform. We have used force.com for public websites, internal applications, and for overall enhancing business processes. "Salesforce works well for a large, multi-use company"
We are able to track many facets of business using Salesforce. We have employed and non-employed doctors all over that we need to track their contact info, theyre business info, and also physician manager interaction info. Salesforce makes this easy to do for multiple users. Sometimes, Salesforce can be cumbersome and clunky for quick API needs that we have with our website. If we want to make small tweaks, it becomes a herculean effort because the tool and the data incorporated into it is so massive. We love Salesforce as a 10,000+ person company. There are integration things that continue to improve to make it better, but for our most basic needs of running a large, always-evolving company, Salesforce fits the bill. We are able to on-board and track all of our doctors easily. We can update, add, remove all the data we need to as careers change. We are able to stay on top of doctor communications. Salesforce helps us centralize all of the data that is constantly changing on a daily basis. "Salesforce is a highly customizable tool but lacks reporting muscle"
Salesforce can be customized to your business needs and workflows. This flexibility makes it extremely useful. The main problem with Salesforce is that its native reporting tool is not very powerful. Since every report needs a "report type" its very limiting in terms of the number of objects you can reference. There is also a limit to how powerful its dashboards and visualizations are. Pay close attention to your business workflows and keep a forward minded approach. Also make sure to see what kinds of reports you need at go-live. Its possible that you might end up needing an additional BI tool on top of salesforce. Make sure to communicate these things to your end users transparently. We wanted a CRM system that aggregated our data from various different sources and different business verticals in a single spot. Salesforce has done that for us successfully. "Salesforce is a great tool for sales processes"
Salesforce has a really great user interface - which they are always looking to upgrade. We currently use the classic version, and have had no real issues. Everything is easy to navigate. We have about 15 or so users in 2 departments and its fairly easy to keep separate what needs to be and keep together what needs to be reported together. They do a lot of upgrades throughout the year, and sometimes its tricky to keep in the know of everything going on. They do have great Help platform, but I feel like the 'ticket system' they have for user issues could be a little bit better then current. Give the demos a try and let the reps come out & present. its worth the effort. We have 3 departments and each have different needs. However we all share the same client base. It makes it easy to report every thing we need to. The reports & dashboard functions really help with that. We can see increased productivity with the activity tracking as well. This is the best CRM in the market and I am proud to be an Admin for the tool. It interfaces well with Pardot which is the tool I use mostly for my position. The classic version is very customizable and easy to use. The switch to lightening seems a bit overwhelming. Our sales team don't use the tool as it is now, so trying to retrain on a completely new platform is a reason we probably wont move to the new version for a while. We need a better lead to revenue/cash roadmap so by integrating our platforms, we feel that Salesforce can help us light up the process. When data is entered into our system and managed properly, we are seeing conversion rates and higher closed opps. "Very nice way to organise things"
This software is excellent regarding the facilities available for organizing things. All the softwares like cword, powerpoint excel, etc are available in one place. Nice service. Easy to use and attractive yet simple user interface. Nice feel while in use. "Way better iOS App than NetSuite"
It is a very clean, easy, functional, and useful app to use. I like how I can easily switch between Org's, similar to Google's Gmail app. Salesforce's iOS app blows Netsuite's out of the water. Salesforce1 looks designed like it was for iPhone6, whereas Netsuite looks like it was designed for the iPhone3. I like how I can manipulate my tabs on the app and be able to test it out on my desktop. Overall, best app for a CRM system by far! Since I work in Support, I wish I was able to submit comments using the app. I am able to do everything else with cases, except for submitting new comments. I also wish I was able to edit my tabs right on the app, instead I have to log into my Salesforce and change it from there. Not much else to consider if you're already using Salesforce. However, if you're deciding a new CRM, you should definitely consider Salesforce and it's mobile app, SalesForce1 because it's the best one in the CRM industry. It's an extension of our Salesforce, where I can take it anywhere with me. It's very easy to search cases, accounts, opps, etc. Overall benefits: convenience, ease of use, take it everywhere with me. "Complex Salesforce data analysis requires custom export but system rules are strong"
Salesforce is great on the customizing rule-based front. For people with strong system knowledge, Salesforce allows companies to personalize and sort through their data to discover trends that are most important; it also allows companies to set up processes for operational, sales, and marketing people. Its interface is layered and can be difficult to master, but its labels and buttons are mostly self-explanatory. Salesforce is notorious for being like the SAT; in other words, being a power user with the product isn't so much about sales/marketing/data knowledge, but rather knowledge of the product itself. Custom reports and understanding which fields and rules are relevant get tricky at large organizations, but as a member of a small company, we are able to directly talk face-to-face to identify definitions of fields and properties. No other sales reporting solution worked for us. We were trying to determine the length of time prospects spent in our pipeline, as well as which stage was the hold-up and how we could improve our funnel. Salesforce's combination of multiple kinds of reporting and rules functions allowed us the flexibility to see what we wanted, and was tolerable enough to sales people to constantly input their data. Salesforce ensures that I am able to collect and know everything about the customer I am trying to sell to. I can import imporant data like emails,contacts,revenue, employees etc. that would usually take a sales person hours to research on the internet. It keeps me ahead of the sale with reminders, along with details on when my next steps are to close the deal. The only thing I dislike about Saleforce is the fdact it doesnt easily sync up with my Outlook as well as I would like it to. It works well but I feel like it slows my outlook down when I do sync the two. That may be due to my internet speed or my Outlook server to be honest. We have been able to solve the " who am I targeting?" " where is the order status at?" " did the customer sign the contract?". With the DocuSign integration I know the second the contract is signed and it is linked directly to the account for everyone to see and know it is there for processing. All the information that you need about the website is laid out nicely and very easy to use. I did not get lost or confused about anything. I especially like the customer stories section of the website. Very reputable businesses have left "reviews" and shared there stories about how this website has assisted them. The support area of this website is off the chart in regards to being great. There are multiple avenues to contact customer support and get the answers you may have. I do not think you will need to contact them though, because the website is very easy to navigate. I really did not like that in order for me to watch a demo about how the product works, I needed to submit and sign up with my personal information first. I should be able to just watch the video, it really would put your website over the top. Very easy to use and easy to navigate. I think you will be surprised at how easy and affordable this site is to use. I highly recommend trying it out. What do you have to lose? They offer a free trial. The ability to have customers have a very customized experience. It allows my employees to build apps and save them into the cloud, they have all the tools they need to build apps. Even a small company like mine has the ability to use this website and I have realized that this site is very affordable for me. "A holistic view of Force.com with the newest set of updates"
"Salesforce is a great tool!" The ticketing (case) system is top-notch. I am able to customize fields as we need. Searching is a bit clunky. Using keywords does not necessarily find the document you are looking for. Also, I perform analytics on our data. Some reports I have created are very useful, but a good majority I cannot create a report for in Salesforce. I instead need to export the report into Excel and from there manipulate the date (using a pivot table) into what I can use. Salesforce is an all-in-one tool. It houses our contacts, accounts, tickets, reports, dashboards, and articles, all in one location that is cloud-based. Salesforce allows my small company to operate competively with larger rivals by giving parity in deal management and account marketing. Salesforce can sometimes be to cumbersome to use, for example, I need to be able create a deal & record information about it, in order to complete that task I need to create an account, add a contact, then associate that with the opportunity. Our company has solved numerous business problems, our sales department was using outlook and excel to track accounts and opportunities, now we have a common dataset and common language to move deals uniformly through our sales process. "Good for basic functions while on the go"
While we have not customized or fully developed the app the "default" version works well for basic tasks like looking up contacts and adding notes etc while out of the office and traveling for work trips. It keeps you connected until you are able to get to a PC for more involved tasks. Interface on a mobile device is clean and simple to work in and navigate around the app. I have no dislike regarding this product as I use it occasionally for basic functions. It service it purpose for this. Keep in mind that the app will need additional development for any business processes or customization within your SF environment. This is more of a nice to have for our company and adds the flexibility and the actual ability to easily access your SF data while on the go. The thing I like best about the Salesforce App Cloud: Force.com is the flexibility in customizing it to fit our business model. We have been able to configure our own proprietary algorithms that sets our business apart. Because I am not a Salesforce Certified Developer, I often encounter things I want to do, but feel incompetent due to my lack of knowledge when it comes to developer actions. When it comes to Salesforce support on the Developer level, it is confusing and lacking. We use Salesforce every day on a consistent basis. I like to think of Salesforce as a huge home, and we want to use every square inch of it for productivity. Salesforce allows us to do everything we want. When we want to do more, Salesforce can accomodate our needs. "Good product for multiple usage"
It had multiple internal platforms which can be customized as per your own needs. You can use all these different platforms. Also searching for something brings a whole chain of reference for different issues which can be useful. "Keep Track of all your Client and Prospects in one place"
This platform is a very good way to stay organized on each of your prospects and clients. From small details to large key factors, they are all in one place. This is a very good product. The tool will help in the business development process. Organization! Tracking of the sales process for all prospects. That was very helpful. If someone left the company, they could go and check the status of the account here. "force.com - advanced cloud computing as a service." Force.com by Salesforce.com is a platform that offers advanced cloud computing as a service. It supports multitenant applications and caters to various clients with only one instance of the application running. PaaS offering allows you not to worry about server maintenance or architecture and Native “Visualforce” elements allow quick and easy information output. Actively under development (Big things underway with VMForce). Apex is a proprietary language. Other than the force.com Eclipse plugin, there's little to no tooling available such as refactoring, code analysis, etc. -Lots of things you might wish were there aren’t. -You will have to port them yourself or make outbound webservice calls. Developer tools continue to be somewhat lacking (even though the Force.com IDE runs in Eclipse you can’t use many of the Java focused extensions and build time is slow). Salesforce.com is a software by no coincidence has won most innovative company in the world 2 years in a row and has been growing astronomically year over year. Salesforce as a company is constantly innovating, pushing the boundaries and thinking outside the box. Making an application on Force.com platform is easy and fast. Various tools provided by the platform make things really easy for the developers. Force.com provides many features like multi-layered security and social and mobile optimization. "Flexible and easy to use for a non programmer"
It is very flexible and easy to setup with just clicking and formulas that anyone who is familiar with some of the work Excel can do. Making an app for people is easy and does not require much help. The Salesforce documentation is very good and uptodate which helps a lot for people who are just joining in and there are many videos available on Youtube for a person to follow if they cannot afford to go to a training or visit Dreamforce. They offer a lot of classes for a person to attend in person or online. The Dreamforce event is a fantastic place for people to learn new skills and ask questions. Reporting is a breeze and it is well used and liked by the staff. You see what you get. There is very little a person without programming skills can do to the look of pages. The web pages for Salesforce are very basic and functional but does not offer a lot for customization without a lot of work in programming new pages or other code. Some features people can expect like highlighting fields to fill in does not exist. The best thing is that after a validation a person is pointed to the missing field. Some settings are bundled together where setting someone up as an admin is required for some abilities to manage groups. Get a development environment and test things out. Watch videos and use what you know to make an app to show people. Show them everything they can do in the system such as ad hoc reporting. We were able to have a public facing site with a minimal cost to us. We were able to develop, test and train all the users in under 4 months. We had an old system that was not able to be accessed outside the network but now we can and people outside our network can send documents to us without staff having to scan it in. People could not make reports without a programmer now they can. I like the apex language and its flexibility and power which it provides. It comes along with great features and it also allows creation of custom VF Pages which can be integrated with salesforce. I also like the way the apex code renders into html and also the ability to integrate with other web frameworks is also very good. The ability to create objects and fields on the go is a great feature which has no match. - The debugging tool that comes along with force platform is not upto the mark and does not contribute much. Salesforce is the product to go for if your organization is a large one and needs a place to keep track of your business contacts and opportunities at one place and also if you want customization then there is no other like Salesforce in this field as of now. Busines problems like integrating with other sites and creating portals are very easy using salesforce. Also the creation of objects on the go and storing data allows us to mix customization into the standard ones. Salesforce also gives APIs to work with to manage the contacts, leads and the opportunities which allows us to work on the lower core level and interact with it to modify it according to needs. Report generation is a breeze on salesforce which allows forecasting and analytical snapshot which helps understand the business in a better way. Takes time to learn it to use it at full force, needs training to get all of the benefits, without special training people tend to use a week sheet! LOL! Get training on this product, when used properly it will perform all you need to get in-depth info for your team and client accounts! Senior sales account manager, full responsible for all the in and outs, pipeline of many millions! Ease of use, access anywhere and flexible structures to allow you to capture the information you want to collect. I don't like the lead/contact structure. However by creating lead master companies, that's helped keep the database a bit cleaner. Just go with SFDC. The marketing automation platforms CRM systems are average at best. Dynamics CRM is just access on steroids. Also, SFDC integrates with basically everything seamlessly. But if you're just getting started, leverage SFDC integrations to help you determine other things you need. Chat services, calendar features, automation platforms etc. Customer information, sales automation and access to information. Salesforce drives a culture of information and understanding the value of information. "High level, solid, transactional, very scaleable application platform"
I like the object oriented data model, which comes with standard objects such as Account, Contact, Activity, and is easy to extend with custom objects; I like the fully transactional execution environment, which allows me to build custom code using the Apex (very Java) language; I like it's support for batch processing; I like it's very comprehensive APIs for access from external applications; I like the development platform that lets me build packaged applications that will install on any Force.com system; I like the fact that the platform enforces a requirement for code coverage through test methods before any new code is deployed to a Production environment. Reporting is a bit weak, and their workflow tools are not great. They also are hooked on social stuff - which they called Chatter - which seems to be getting most of the attention in terms of new functionality, at the expense of other requirements. I built a complete Subscription Management application on the Force.com platform, and I'm very confident that the result is robust, secure, scaleable, and capable of supporting future requirements. "Easily accessible and lots of resources to help learn the platform"
There is a robust library of resources and help available to help guide you through the Force.com platform. Complex rules can get very cumbersome especially for those without a programming background. It's not as easy to learn as they make it out to be. There is a significant time commitment to both implement and learn the platform. However, the potential is great once a org is acclimated to the platform. The platform allows us to self service certain needs such as customized workflows. "One Stop Shop for your business"
Salesforce cloud based platform, ease-of-use, level of platform support to custom develop your business requirement. Apart from all these, developer community is of immense help to learn something and quickly implement the change in your org for your sales people. Using a platform like salesforce, sales engineers at my workplace are closing deals at a faster pace having less turn around time and as they say "Right information at the right place and the right time". Salesforce App Cloud: Force.com --> a customer success platform. Initially, I am no big fan of "click - click - click - full and save" framework. It used to be a lot of effort to remember and each and every step to think about. With the invent of schema builder, API level support, Metadata API access. We are good with it. If you want to make your business move in the right direction and tracking every detail, app cloud is the way! we had a scattered sales data from multiple legacy systems since ages. We have moved all the data and implemented all the business processes in salesforce. To make the system efficient and seamless, we have implemented the best practices and the latest methods making the org smart. with the salesforce, We have solved reporting issues, Server/database maintenance,with the custom business process - we are at a fast pace to help resolve customers issue. We are also using CTI for more than 1800 customer support reps to address our product related issues/queries. "Take Control of Your Business!" Force.com allows you access to a VERY powerful relational database. The granularity in user permissions are awesome, the ease and ability to quickly roll out a product is awesome. The validation rules, automatic emails that can be generated. Force.com really put the power to model your business needs very well. It is also very cool that Salesforce allows an AppExchange. For us this has meant not waiting for Salesforce to come out with a solution that might be lower on their priority list. We have been able to find some innovative solutions on the AppExchange that have totally made Salesforce be amazing. Initially the views are very sterile. Just long scrolling lists of data. You can get over this by using visualforce. But we found an AppExchange app at www.skuidify.com that totally, totally, totally, (yes, I did say that three times) customize the UI experience. Skuid for the UI coupled with Salesforce removes any complaints I have about Salesforce. And Skuid is totally declarative so it is really easy for non-programmers to pick up and get to work. Together they are amazing and allow you to create anything you need for your business. We also needed custom form generation and Conga on the AppExhange is filling that gap. By creating the AppExchange Salesforce has really insulated themselves from dislikes because you can probably find a solution to your problems. 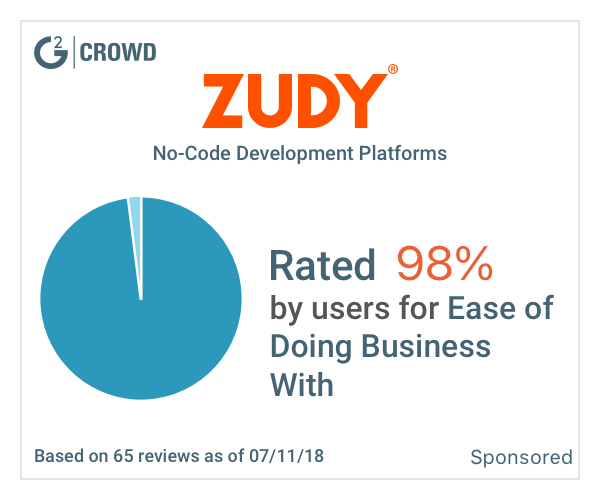 I guess the only dislike would be the added costs and wishing it were in the core platform. But Salesforce serves a very diverse group so them focusing on the core and letting others focus on the periphery is an excellent strategy. If you are using Force.com but wish you could customize the UI please look at Skuid. It will change your life. Salesforce is powerful! It is amazing! Couple it with Skuid and you will be able to develop your whole business on the platform in an intuitive way. They go hand in hand and should be together. We provide 24 hour care for disabled patients. So we are tracking patient information, medications, contracts, billing, caseloads, houses, offices, utility payments, leases, medical appointments, vehicles, scheduling. We are basically using Force.com to run our business. Force.com is amazing and coupled with Skuid it will revolutionize your business. I am a business owner and I can implement a new idea declaratively in less time than it would take me to explain my idea to a TEAM of developers. Seriously it is that good. There is a learning curve, but it is not too steep and the results are incredible. Flexibility, scalability, multiplatform... This covers nearly every IT solution facing company... From Project Management, Collaboration, Service Desk, Sales, Content Management... Lists goes on and it all sits in one place.. The product is excellent but the implementation partners can be awful. My advice get a senior technical lead who is well certified and has experience... Don't fall for the slick sales guy and the big named firm. Project Management, Collaboration, Service Desk, Sales, Content Management... Far cheaper solution that their competitors. I like the customization that it allows so that we can run our business as we choose. Once you get used to it, it's easy to use and is laid out in a logical way. This may be how my company personally uses it, but I don't like the restrictions required to finish projects. Not everything applied to all situations and that makes it difficult. Saleforce is a flexible and highly powerful CRM tool that encourages collaboration and information-sharing. The price of a full license is steep, which makes it tougher to roll out to everyone. In addition to managing sales, our teams have used Saleforce work queues to manage a variety of different projects. When a piece of software failed on us and we were on a tight deadline, our team was actually able to use Salesforce to create a new project management/ticket process on the fly. I cannot think of another platform that would have allowed us to bring that project to completion on schedule. * We monitor all Salesforce Platform reviews to prevent fraudulent reviews and keep review quality high. We do not post reviews by company employees or direct competitors. Validated reviews require the user to submit a screenshot of the product containing their user ID, in order to verify a user is an actual user of the product. Hi there! Are you looking to implement a solution like Salesforce Platform?